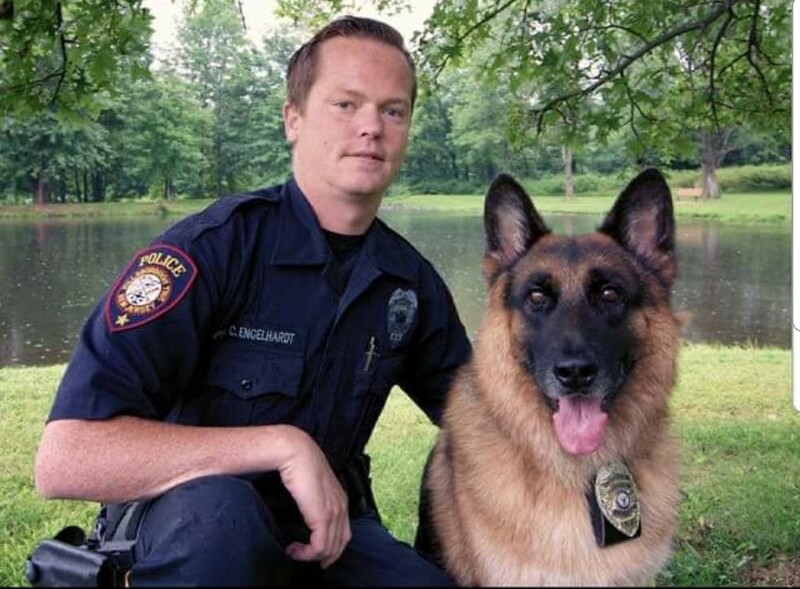 Fritz, who was known around Hillsborough Township as Officer Raider, was Hillsborough Township’s first K9 Officer. He assumed his service role with the Township in 2008 and proudly served the residents and visitors of Hillsborough Township until his retirement in 2014. In an ironic timing of events, just days after the Township received its newest K9 Officer, Freddy, Fritz was peacefully laid to rest, after a brief battle with cancer. Fritz was an icon around the Township, as he attended many Township events as well as participated in Hillsborough Township School District events and Somerset County training drills. He was a German Shepard that came to the Township via Hungary as a result of donations from the Municipal Alliance and Duke Farms. His main functions as an officer were narcotics detection, to apprehend perpetrators and tracking. In fact, with less than a year on the force, K9 Officer Fritz had been quite an addition to the Hillsborough Township Police Department, assisting in numerous narcotics busts, patrol operations and finding missing persons. In addition, Raider and his handler, Officer Christopher Engelhardt, also visited Township students and senior citizens, which further facilitated the community policing efforts. In the last hours of Fritz’s life, care was administered by Noah’s Ark Pet Crematory in Manasquan. Services were free of charge to the Township. Fritz is succeeded by Marco and the newest K9 Officer, Freddy.